Live life king size in this comfy Casual Craze Blue and White Cotton Printed Short Tunic Top for Women tunic from Snehal Creations. This Chinese collared tunic has roll up three quarter sleeves. 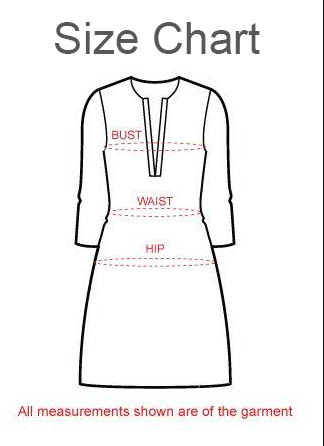 The length of the tunic is short and is good to wear with pants or jeans. The tunic fabric is white and comes adorned with blue symmetrical print. Slight threadwork on the neck looks ravishing.